Frederick C. Philbrick studied Engineering at the University of Illinois. 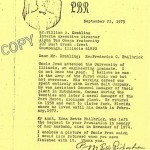 He initiated to Gamma Zeta in 1911. He served in the Army during WWI. His work career was entirely with the Morton Salt Company. He was Assistant General Manager at their plant in Hutchinson, KS during the 20’s and General Manager of the Port Huron, MI plant. He retired in 1958 and moved to Winter Park, FL where he lived until he died in 1972. 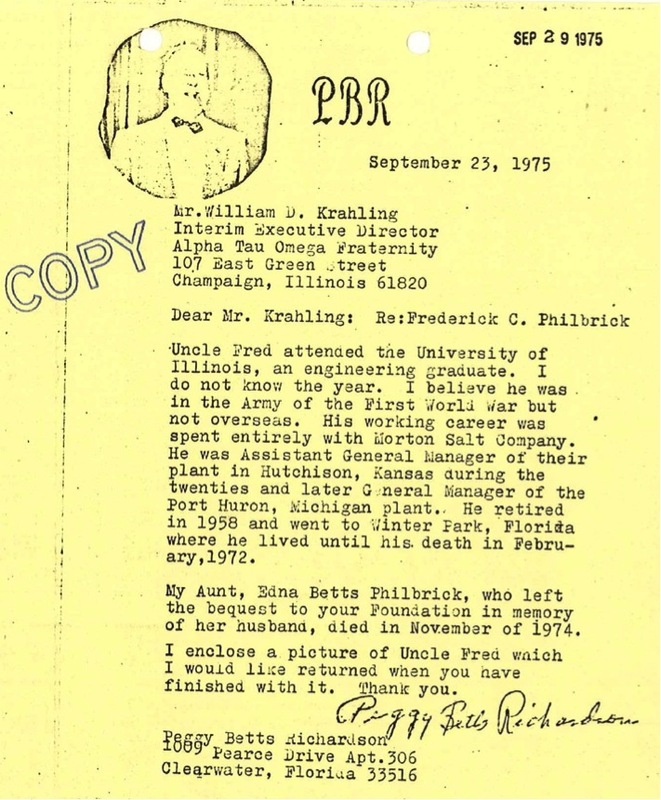 On September 29, 1975, William D. Krahling, Interim Executive Director of Alpha Tau Omega received a letter from Peggy Betts Richardson. This letter explained that Peggy’s uncle, Frederick C. Philbrick and aunt, Edna Betts Philbrick had left a significant bequest in memory of Frederick to the ATO Foundation. This resulted in the establishment of the Frederick C. Philbrick Scholarship to benefit Gamma Zeta ATOs which has awarded thousands of dollars to Gamma Zeta undergrads over the last thirtyfive years. The current value of the Philbrick endowment is over $75,000. shall exhibit leadership responsibilities in the Gamma Zeta Chapter.